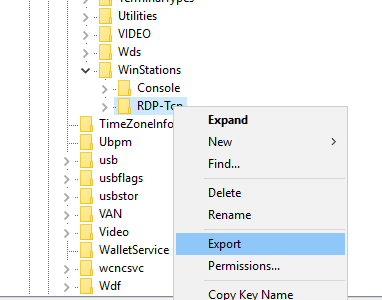 Here’s how to add an Additional RDP Port to Windows 10. Alternatively, here are the instructions if you are just looking to change the RDP port. Whilst these instructions were written for adding an additional RDP port to Windows 10 they also apply to most other version of Windows such as Windows 8 and Windows 7. Browse to our new Key which we just imported. i.e. Change the Port Number to the desired value and click on OK.
You can now test out the new RDP port which you’ve just added to the computer. Note: If you’re having issues connecting after adding the new RDP Port to the Windows Registry please follow these RDP Troubleshooting tips.